The state flag of Alabama is more than one hundred years old. The current design is a reflection of the state's colonial history, and as such it resembles the flags of several other states that also began as Spanish colonies. The flag of Alabama is a reminder of the Confederate Battle Flag used during the Civil War. The current flag of Alabama is a crimson cross on a white field and was adopted in 1895. Although square, the dimensions are not laid down by law. 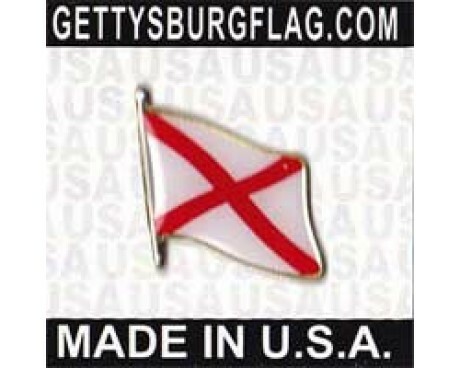 Alabama state flags have unusually specific designs. They consist of a crimson saltire cross on a white field. The bars of the cross must be at least six inches wide, which makes it difficult to produce small flags that adhere to the design's requirements. 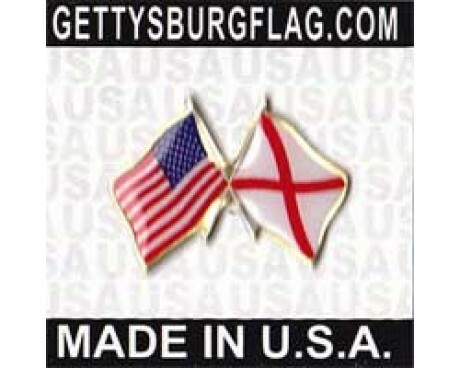 The law does not specify any specific symbolic value for the flag's field or emblem, but they show a clear link to the history of Alabama, both from before it became part of the United States of America and from its time in the Union. 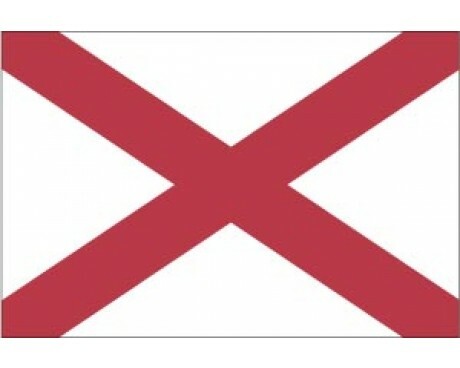 Alabama adopted its first state flag in 1861, which was the same year that it succeeded from the United States of America to join the Confederacy. The flag had a solid blue field, and it was one of the rare flags to have a different design on each side. The obverse side displayed the Goddess of Liberty with a sword in one hand and a flag in the other, with the words "Independent Now and Forever" above her. 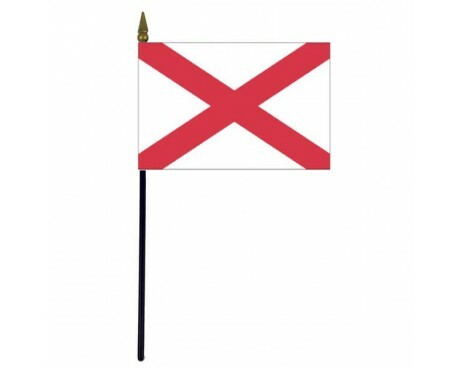 The reverse side of the state flag of Alabama had the Latin phrase "Noli Me Tangere" below a cotton bush and a rattlesnake. The Latin phrase was a quotation from the Bible that can be roughly translated as "Do not touch me." It reflected both the state's Christian majority and its desire for political autonomy. That flag was not used for long before it was replaced. The original flag was damaged after a very short period of use, and copies of the design did not come into widespread use before the state adopted a new design in 1895. Modern Alabama state flags still use the 1895 design, which was ultimately derived from the flag of Spain. 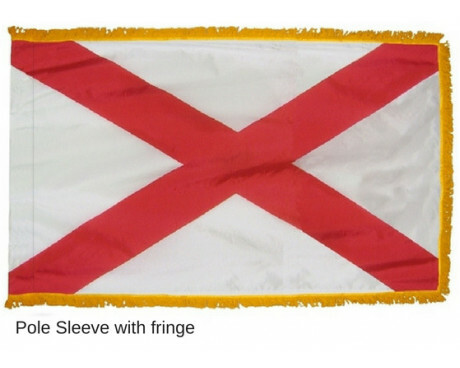 Alabama had once been part of Spanish Florida before it became part of the United States and a state in its own right, so the current flag is an excellent reflection of Alabama's state history and heritage. Alabama was first settled by the French, then part of Louisiana. It was ceded to Britain in 1763 and in 1802 it became part of the Mississippi Territory. Alabama became a territory in its own right in 1819, seceded on January 11th 1861 and was readmitted in 1868.